The weekly Karwan-e-Aman bus service operating between Srinagar and Muzaffarabad Pakistan remained suspended on Monday for the seventh consecutive week. The Karwan-e-Aman bus service remained suspended for seven consecutive weeks due to repair work of the Kaman bridge, which connects Kashmir valley with Pakistan-administered-Kashmir, said an official. An official said that repair work was still going on at the bridge, at Kaman post, the last Indian military post on this side of the Line of Control (LoC) in Uri sector. “Once the repair work is completed and we receive green signal, the cross-LoC bus will be resumed,” he said. He said that all the passengers who were scheduled to travel in the bus on Monday have been informed about the cancellation of the bus. They will be now adjusted in the bus, next week, he added. 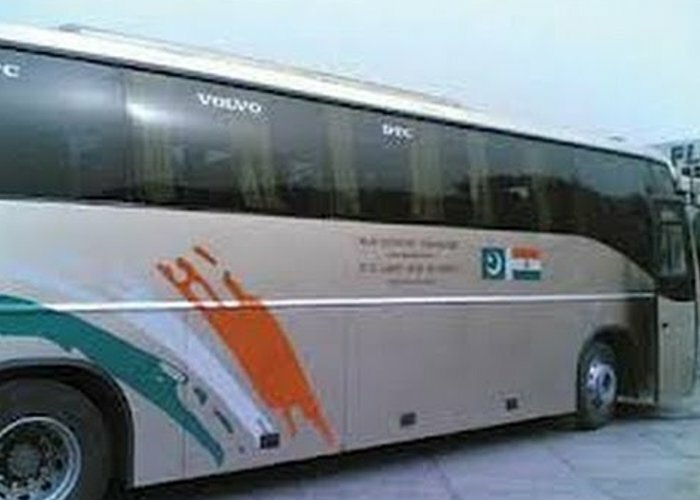 The bus service, a major Confidence Building Measure (CBM) between India and Pakistan after the 1999 Kargil War, continued despite summer uprising of 2016 and tension on the LoC, due to ceasefire violation. The cross-LoC bus service which started on April 7, 2005, has helped thousands of families to meet each other after India and Pakistan agreed to allow travel of state subjects from both sides on travel permits, instead of the international passport. The travel permit is issued to the state subject from both sides of the LoC, only after their names are cleared by the intelligence agencies from India and Pakistan. However, only state subjects from both sides can avail the cross.